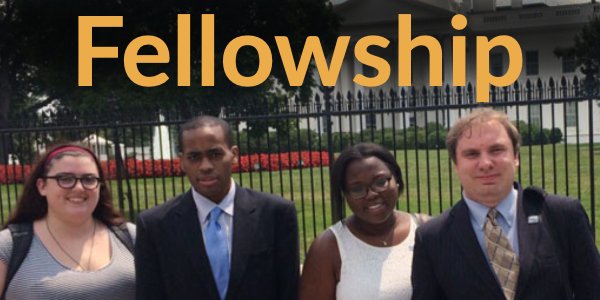 RespectAbility operates the National Leadership Fellowship for junior and senior students who will pursue careers in public policy, advocacy, or nonprofit management. It is an excellent opportunity for a student looking for opportunities in the nonprofit sector to gain relevant experience. Fellows will gain first-hand experience in research, program management, grant management, budgeting, and other skills essential for the nonprofit sector. 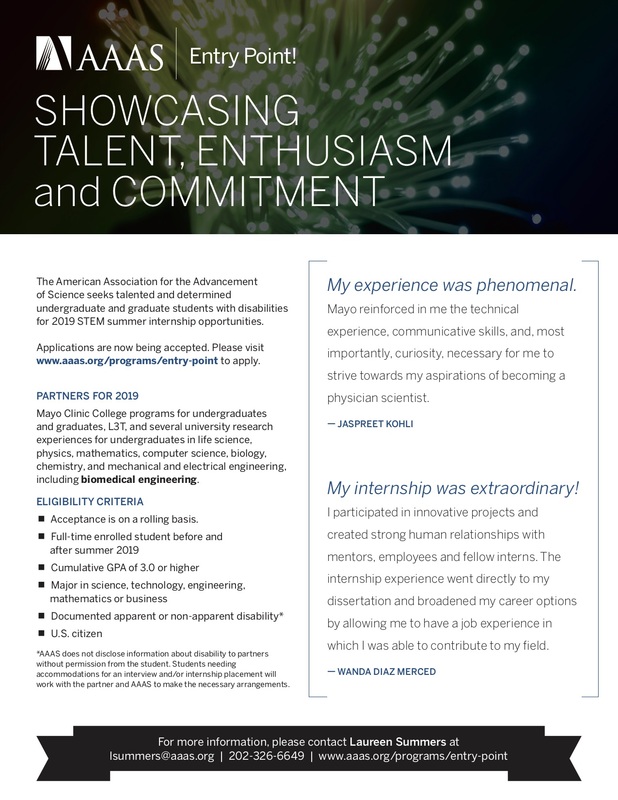 The deadline for Spring 2019 applications is November 20, 2018. Hope summer was enjoyable and fall 2018 is off to a great start. 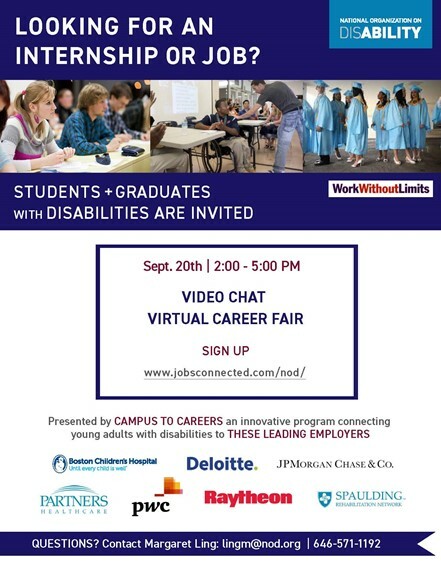 I’m back to share our virtual career fair coming up next week, Thursday, September 20th, 2-5pm. We have our employers: Boston Children’s Hospital, Deloitte, JPMorgan Chase, Partners Healthcare, PwC, Raytheon, and Spaulding Rehabilitation Network registered for the event. Please share with your current students and alums. Deloitte, PwC, JPMorgan Chase, and Raytheon are interviewing students for their summer 2019 internships/co-operatives. They close their interview process by the end of the month. Additionally, they are looking to fill opening. Partners Healthcare, Boston Children’s Hospital, and Spaulding Rehabilitation Network are looking for immediate hires in the greater Boston/MA area. The University Career Center is Here for You! Welcome back to campus! We are looking forward to kicking off the Fall Semester with you all! The University Career Center (UCC) offers many opportunities for you to learn about various internships and jobs, and many take place early in the Fall semester and we want to help you connect the dots. During upcoming events, You can engage with different employers and graduates schools to discuss opportunities for all majors.